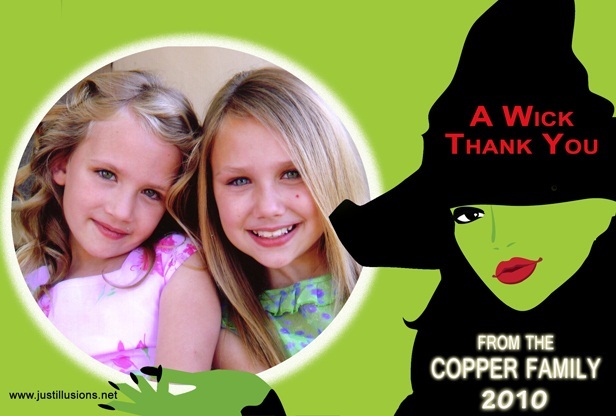 Our Halloween party services are for children parties, family parties, and company parties. 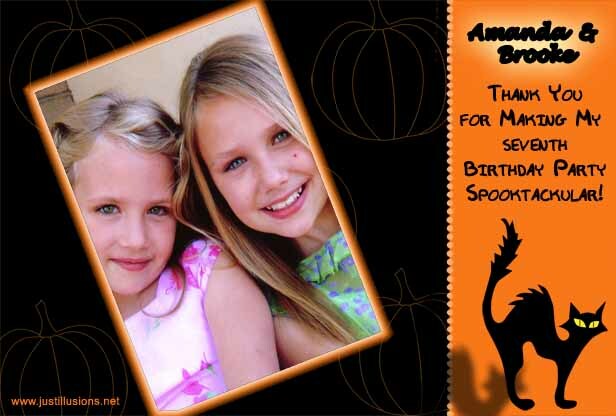 Our Halloween packages include a special balloon sculpture for the birthday child or party host and Halloween music. 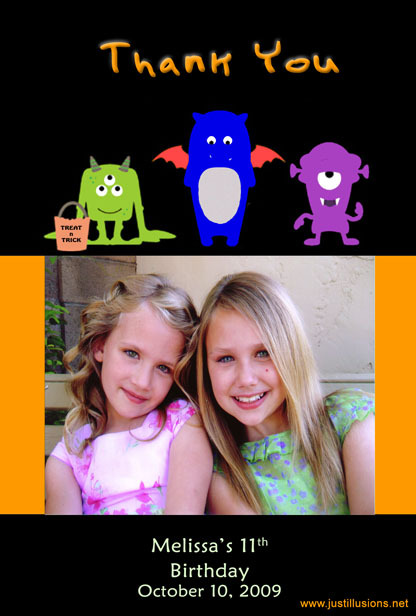 All services offered during the Halloween season is done in Halloween style. For instance our professional entertainers will perform in costume (not scary). Services such as Halloween balloon sculptures, Halloween face painting / body art tattoos, Halloween temporary tattoos, Halloween photography (thank you cards / invitations), Halloween Caricatures and Bizarre Magick Show (not for children)! Email or call us for party package prices and availability! While JUST ILLUSIONS is at your party, you can add the following services! Popcorn, cotton candy, party bags, party bag toys, fog machine, photography and printing services! Call or email JUST ILLUSIONS now with your Halloween party needs! (email is admin@justillusions.net or call us at (570) 992-9293). JUST ILLUSIONS WISHES YOU AND YOUR FAMILY A SAFE AND HAPPY HALLOWEEN! 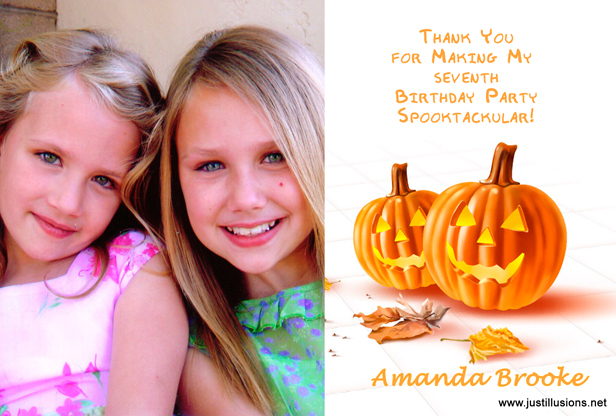 These Halloween thank you photo cards can also be used as invitations. Right where the photo would go would be your invitation information.